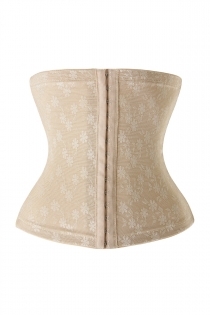 Waist cinchers are among the best shapewear as they are effective in waist reduction, easy to wear and can be concealed under most clothing. Including those modified spandex materials used in many types of shapewear in the market today, our waist cinchers at cheap-lingerie.com are of high quality using fine materials. 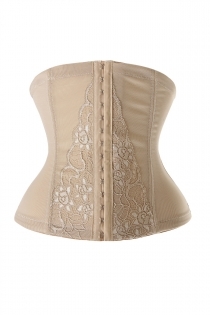 Waist cinchers dramatically give you some surprise where you most need it. Nipping your waist in, our waist cinchers are able to give you those killer curves and washboard abs without the fuss in a matter of seconds. The light boning structures will help shape your figure and the lace-up styles allow you to adjust the waist cincher to your own comfort. Moreover, they are specialized in that they can be worn under dresses, blouses, playsuits and others more, thus making you look amazing in any outfit! Besides making you feel fabulous both inside and out, waist cinchers have practical uses in improving posture, back problems and helping to regain shape and strengthen loose muscles during post partum. They can even be used as a dieting aid to help reduce appetite and help you lose weight. Be a bombshell and get that va-va-voom figure with our fantastic collection of waist cinchers, which comes in a variety of colors and styles to flatter any woman. We have luxurious satin, feminine lace and bold patterns to suit your fancy. Smooth and seamless under clothes but that doesn’t mean we comprise on design – they are anything but plain with contemporary prints and belt and ribbon details. While completely adjustable, it’s important to measure yourself to find your perfect fit. Measure your natural waistline as well as your lower abdomen. If your trying corsets or waist cinchers for the first time, it a good idea to gradually introduce yourself to it by trying to wear it loosely for an hour on your first day, and then build up the length of time as you tighten the waist-cincher in small increments to ease yourself into the product. We found 6 items for your choices.